Besides a stellar Ranji season, Agarwal made 258 runs with three knocks of over 50 in the Syed Mustaq Ali T20 tournament, and has been going great guns in Vijay Hazare Trophy as well. Incredible as it may seem, it is time to select the Indian team for yet another tour of Sri Lanka! Less than a week after they return from South Africa, following the third and final Twenty20 (T20) game on Saturday night, the Indian cricket team will head to the island nation to take part in a tri-nation T20 tournament. The selectors, Board of Control for Cricket in India (BCCI), and even the players need to 'beware the ides of March' for the workload on some of the players is nothing short of humongous. Mayank Agarwal has been in stellar form this season. Image courtesy: Twitter. The 6-18 March Nidahas Trophy event involving India, Bangladesh and Sri Lanka might be desperately needed to boost the revenue of the near-bankrupt host association, but India would do well to pause the relentless flogging of its players. The last series against Sri Lanka, squeezed in before the challenging tour to South Africa, came between the players and their opportunity to get acclimatised to the conditions in South Africa. It might even have had a major impact on the adverse result of the first two Tests. This time though the worry is about burnout and injuries. The Lanka series might be good for some players getting into the groove before IPL, but surely ceaseless cricket in the scorching summer months of March, April and May would take its toll sooner than later. This is particularly worrisome as there is more cricket, in the form of a Test against Afghanistan in June, before the Indian team immediately embarks on yet another challenging series of T20Is, One-Day Internationals (ODIs) and five Tests in England. Of course the BCCI would have its reasons to oblige a friendly neighbour’s cricket board. However, even if the die is cast the board needs to play it smartly and ensure that they have a wider pool of players to fall back on. Leaving it to the players to ascertain their workload and request the board for some rest is one way of doing it. But the more prudent way would be to ensure that key personnel have sufficient downtime so that they turn up for major series in the right frame of mind. 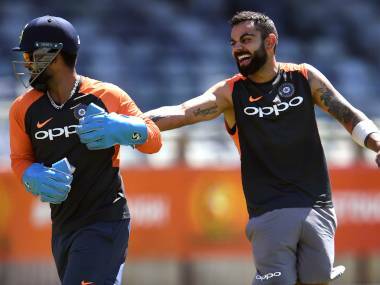 Certainly the likes of skipper Virat Kohli, Bhuvneshwar Kumar and Jasprit Bumrah, to mention just three, need to be fresh and raring to go for the series against England which unfolds this July. At the same time, the T20 tournament in Sri Lanka and the Test against Afghanistan provide an opportunity to test the bench strength or even unearth new talent. 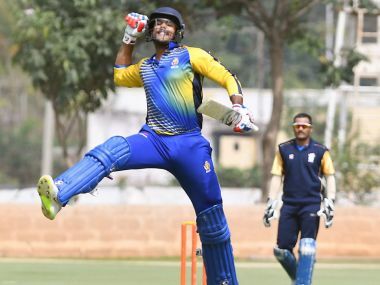 One new talent deserving an immediate look-in is Mayank Agarwal, an opening batsman who has put in some really amazing performances in recent times. This year alone the Karnataka batsman is in such rollicking form that he stands head and shoulders above the rest of India’s emerging talent. His Ranji Trophy season was nothing short of sensational: 1160 runs, inclusive of four centuries and a triple ton, and at an average of 105.45. No other batsman had a four-figure aggregate, or for that matter a three-figure average over eight matches. For long Agarwal was pigeon-holed as a limited-overs batsman. His performance in the India Under-19 World Cup campaign in 2010 won him an IPL contract with RCB the following season. Since then he has featured in every edition. Agarwal’s opportunities in the longer format were rare as Karnataka already had a number of highly-successful opening batsmen: Robin Uthappa, Ganesh Satish, KL Rahul, R Samarth and Abhishek Reddy. However, after Uthappa and Satish opted to play for other states, Rahul got an India call and Reddy was out of the game with a painfully-twisted knee, Agarwal got his chances to open the batting with the consistent Samarth. And how well he has made a mark for himself. Even as Samarth helped himself to 673 runs during the season, his partner Agarwal was in sublime form as scores of 304 n.o, 177, 176, 134, 133*, and 90 reveal. Agarwal made 258 runs with three knocks of over 50 in the Syed Mustaq Ali T20 tournament. His impressive strike rate of 144.94 did credit to his reputation of being an aggressive opening batsman. However, it is his recent form in the on-going limited-overs Vijay Hazare Trophy that has once forcefully brought into focus his insatiable hunger for big scores: 140, 89, 102, 28, 84, 109 for an aggregate of 552 runs. Of course he will add to that tally when Karnataka play the semifinals on Saturday and possibly the final 27 February. But the national selectors who sit to pick the Indian team for Sri Lanka will not have to wait for either the semifinals or final before making up their mind. They probably have seen enough of his credentials to be duly convinced. Other players worthy of close attention include Delhi pacer Navdeep Saini, batsman Karun Nair and Jharkand’s wicket-keeper-batsman Ishan Kishan. There’s already a good pool of spinners adept in T20 cricket so the need is to widen the net in other departments. The search ought to be for a good mix of opening and top-order batsmen, pace bowlers and wicket-keepers. Meanwhile, Agarwal, on the sheer weight of potential and performance, might just have stolen a march over the others. It just needs the selectors to confirm it.